There is little agreement upon the best teeth whitening methods currently available on the market. Whether it is for dental surgery or cosmetic dental surgery, there is no one-size-fits-all. It depends upon what you want out of the process. Among the determining factors are the size, shape and condition of your teeth. Reading to find the best teeth whitening reviews may help. Many over the counter (OTC) treatments easily achieve white teeth, according to some. For these reviewers, laser teeth whitening treatments performed in a dental office are not essential. The best tooth whitening agents may come in a kit. Yet, in such reviews, whether pro-dental procedures or not, difficulty can arise unless you are aware of the source of the review. It is possible a specific company or manufacturer is behind the information. The reviewer may not be independent but represent someone with a specific connection to a product or corporation. Reading scientific reviews may be helpful. You can also talk to individuals who have undergone the same procedure or tried the same products. To achieve white teeth, it is possible for us to turn to a wide variety of materials and methods. Some speak highly of the ability of their product to provide the best tooth whitening experience on the market. 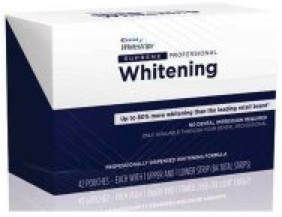 In essence, the reviews discuss two separate but related types of whitening products or processes. These are in-office bleaching and at-home OTC kits. In-office may be the best teeth whitening procedures and are among the most popular approaches for obtaining whiter teeth. Convenience – some of us like things to occur at a set time, within specific hours and guided by a professional. It takes the surprise out of a situation and lets someone else worry about how to perform the procedure, how long is required, etc. 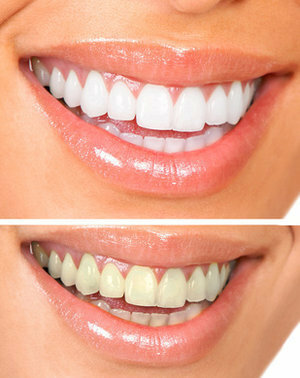 Rather than straight power bleaching, a person can turn to laser whitening. This is faster than power bleaching alone. The results can be instantaneous. While these methods are described as safe in many reviews, the speed of the process and the overall result will differ from those of a professional’s services. As a result, some may turn to what may seem to provide the best of two worlds. These are professional kits provided by a dentist. A dentist can provide you with a professional kit. These frequently consist of specially designed trays that fit the individual’s teeth. The person wears these, usually overnight. The length of time for the transformation takes place over 6 weeks. However, it's possible to find and purchase professional kits, with custom made mouth trays online. Results can be fantastic especially for the value. In search of the whitest teeth possible, we look to reviews. The best teeth whitening products, however, differ for each of us. For some of us an at-home solution is best. For many of us, the only way to get the job done is to see a dentist. An in-office procedure works. Then, there is the middle way. We can see a dentist. He or she can then supply us with a tooth whitening agent we can apply at home.